Designer and co-founder of this application called Tweever. 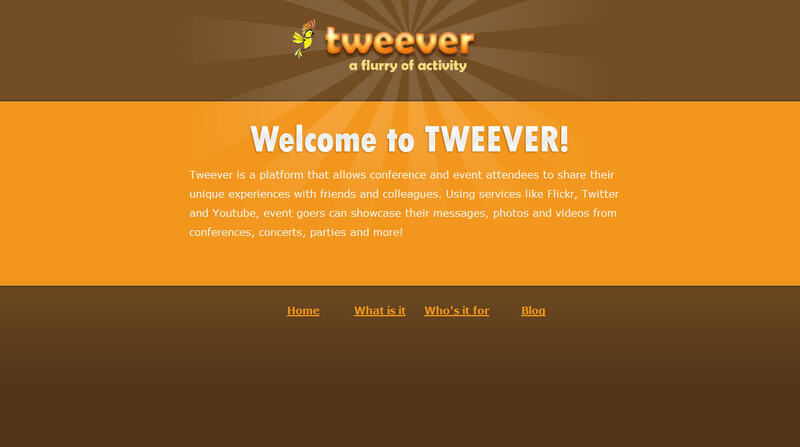 Tweever is a platform that allows conference and event attendees to share their unique experiences with friends and colleagues. Using services like Flickr, Twitter and Youtube, event goers can showcase their messages, photos and videos from conferences, concerts, parties and more.